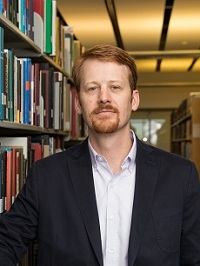 My research focuses on the cultural, intellectual, and religious history of the American South in the 19th century. My first book examines the influence of honor culture on evangelical religion in the early 19th century South, and links this interaction to the origins and progress of modern identity in the region. I have published articles, essays, and reviews in venues such as The Journal of Southern History, Safundi, The Journal of American History, The Journal of Southern Religion, and Books & Culture. I am currently writing a cultural and intellectual biography of South Carolina Senator John C. Calhoun, one of the intellectual architects of southern secession who the historian David Potter once called "the most majestic champion of error since Milton's Satan." In the wake of significant reevaluations of the South’s relationship to modernity and capitalism, this project will reexamine Calhoun's ideas and arguments the backdrop of new scholarship. My approach to teaching is pretty simple: read good books, tell good stories, try to rescue the past from what E.P. Thompson once called the "enormous condescension of posterity."